“Jesus answered and said to them, “This is the work of God, that you believe in Him whom He sent.”” (John 6:29). The absolute necessary element for salvation is faith, and faith is a clear sign that God’s grace has been activated in us, for faith brings us into communion with God. Faith is a free gift, for nothing we can do can save us. No good works can save us. Being a good person will not save us. Only faith in Christ will bring us into everlasting life, yet faith without works is dead. Good works, love, and being quick to forgive others, and to overlook the sins of our neighbor, is a sign that our faith is actually real, and is bringing about the transformation of life that is necessary for us to enter the Kingdom of God. 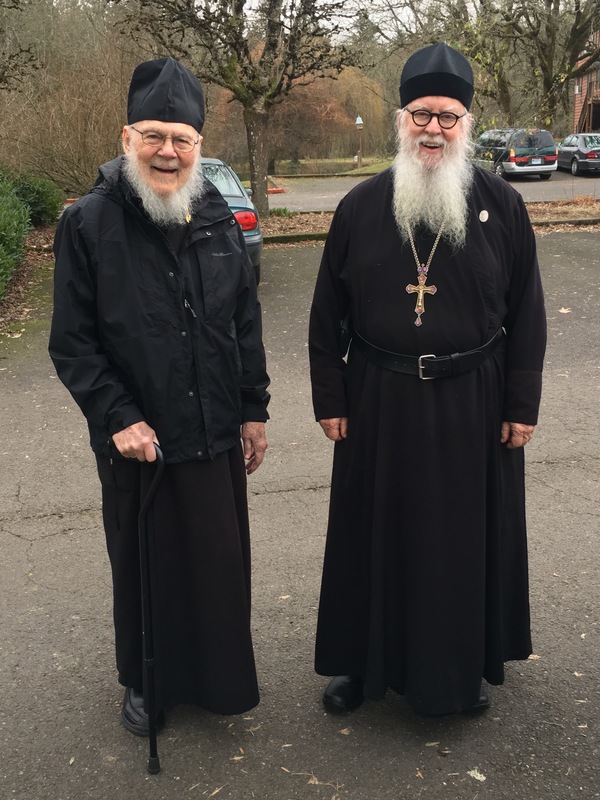 Photo: I drove to Portland, Oregon, for a few days, where I was able to spend time with my good friend, and confessor, Archpriest Nicholas Letten. A friend for over thirty years, Father Nicholas was born on November 8th, whereas I was born on November 9th. He is 93, and exactly twenty years my senior! 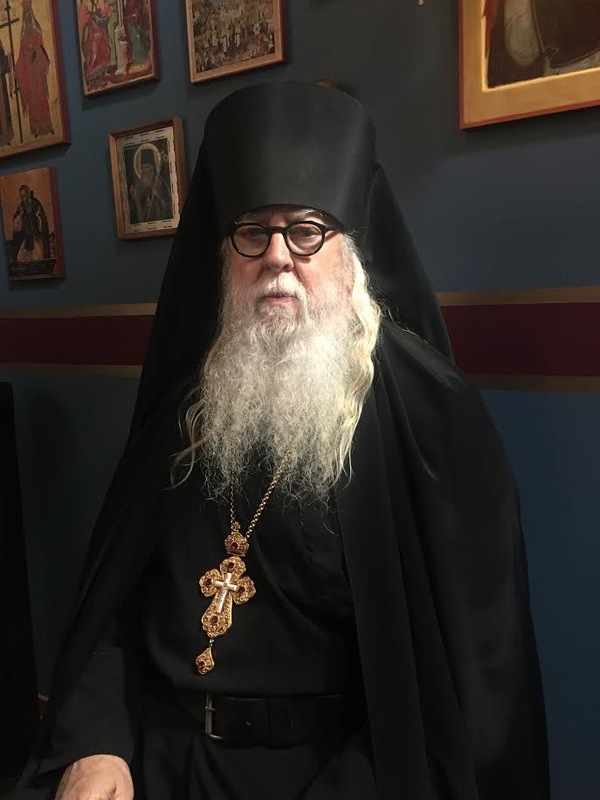 I’m so old, Bishop Theodosy of Seattle was born a year after I graduated from high school! Synaxis of the Seventy Apostles: James the Brother of the Lo’rd, Mark the Evangelist, Luke the Evangelist, Cleopas the Brother of Joseph the Betrothed, Symeon the son of Cleopas, Barnabas, Justus, Thaddeus, Ananias, Stephen the Archdeacon; Philip, Prochorus, Nicanor, Timon, and Parmenas of the seven deacons; Timothy, Titus, Philemon, Onesimus, Epaphras, Archippus, Silas, Silvanus, Crescens, Crispus, Epenetus, Andronicus, Stachys, Amplias, Urban, Narcissus, Apelles, Aristobulus, Herodion, Agabus, Rurus, Asyncritus, Phlegon, Hermes, Patrobus, Hermas, Linus, Gaius, Philologus, Lucius, Jason, Sosipater, Olympas, Tertius, Erastus, Quartus, Euodias, Onesiphorus, Clement, Sosthenes, Apollos, Tychicus, Epaphroditus, Carpus, Quadratus, Mark called John, Zenas, Aristarchus, Pudens, Trophimus, Mark, Artemas, Aquila, Fortunatus, and Achaicus; Dionysius Areopagite and Simeon Niger. 4 Now consider how great this man was, to whom even the patriarch Abraham gave a tenth of the spoils. 5 And indeed those who are of the sons of Levi, who receive the priesthood, have a commandment to receive tithes from the people according to the law, that is, from their brethren, though they have come from the loins of Abraham; 6 but he whose genealogy is not derived from them received tithes from Abraham and blessed him who had the promises. Thank you for including photos and little fun details about your life with us. On the most dreary of days, you make me laugh. I am 44 years old with few grey hairs showing on my goatee. My 14-year old son is fond of telling me that I am old (in a joking manner). When I look at the photo of you and Fr. Nicholas, my hope and prayer is that I will have the vitality and alertness at 73 and 93 that you and Fr. Nicholas undoubtedly possess. May our Lord find me faithful now and in my latter years. You are not old. You are only 73. You are doing Lord’s work and God bless you. I am four years older than you are and I feel that there is a Heavenly reason for our life here on earth to serve-God (praying, worshipping..) and neighbor (less fortunate, helping and actively participating in your Parish activities and with members,…). God Bless and keeping blogging! Each morning I have my devotional time with our Lord. “The Morning Offering”. (I have read it for years). May God sprinkle in your heart the dew of His grace. P.S. I am Roman Catholic!